Education at Hobbs is a joint endeavor of the Friends of Hobbs education committee, volunteers and the park staff. Our overarching goal is to provide interesting and wide-ranging educational programs about the history and nature to children and adults alike. Thousands of school children have attended guided tours and education programs at Hobbs in recent years. Please call 479-789-5000 if you are interested in a custom school program from a Hobb's State Park - Conservation Area Park Interpreter. Friends of Hobbs provided the funding for over 25 taxidermy exhibits found throughout the Visitor Center and used for classroom instruction at the park. Ozark Natural Science Center is an important partner with Hobbs State Park – Conservation Area in the development of nature education for the Park's 4th grade student day programs. 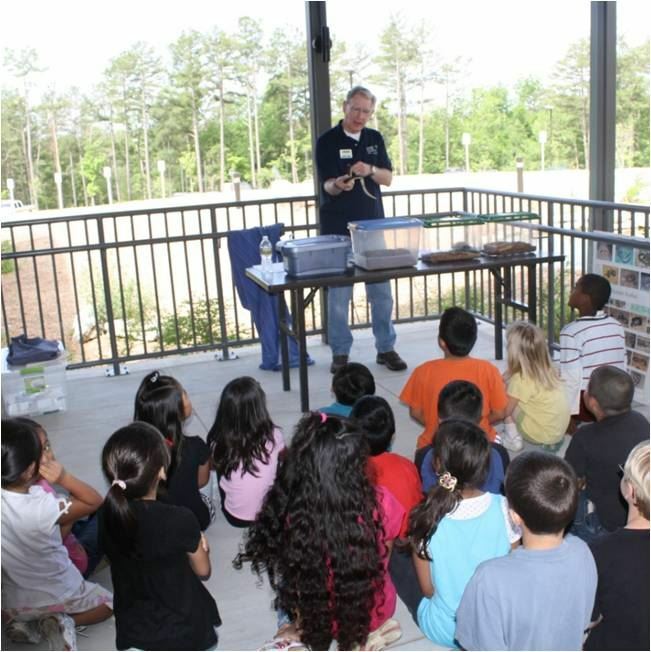 These programs will generate awareness and interest in nature that will prepare students for the Science Center's two-day, one-night program for 5th graders. Ozark Natural Science Center (highlight with link to: www.onsc.us ) works closely with Hobbs on other projects and programs of mutual interest. If you are interested in learning more, or to become a volunteer in the education program at Hobbs, call: 479-789-5000 or email the park staff at hobbs@arkansas.com.